“America’s Friendliest 5k”. That is exactly what the Mt. Ashland 5k is about, being the friendliest 5k in America (with hugs at the finish line, even). Super cool and genius statement, in my opinion. Having never participated in this event, the tagline caught my attention.The Mt. 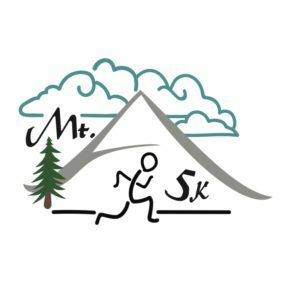 Ashland 5k takes place Saturday, July 7, 2018 in Ashland, Oregon at the Mt. Ashland Lodge. This is a USA Track & Field sanctioned event, and registration fees are a donation to the Mt. Ashland Association. Are you familiar with Jenn Shelton, who is an amazing ultrarunner? This event is “proud to be certified by the record holder for the fastest female 10 mile trail race …” Even more reason to have it on your race calendar. Jenn is incredible. Here are the details of this event — which is not your typical 5k trail race (I like this – a lot!). Beginning at the Mt. Ashland Lodge, you’ll progress, 1,100 feet up Mt. Ashland to the weather ball, which is at the top. 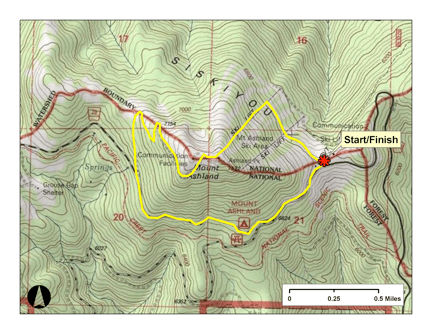 Once you reach the weather ball, you’ll spot a friendly aid station with friendly volunteers, water, and … a decision. The decision is, do you take a “challenge card” or a “time card”. All participants must choose one … so choose wisely. If you select a “challenge card”, you must perform whatever task is on your card. These include doing “x” many push-ups, playing a game of corn hole, going back to the base of the mountain and starting all over again … and goodness gracious, the possibility of having to sing a Justin Bieber song. If these sound terrifying to you, as they do me, then choose a “time card”. The “time card” may increase or decrease your time! Seems like a simple decision to me which card to select.